Swallowing disorders- or dysphagia- continues to increase in clients served, often presenting multiple challenges to providers in implementation of effective intervention. Providers must know how to meet person centered client needs with “best practice” nutrition protocols and interventions. This session will present an overview of current best practice nutrition for swallowing disorders along with suggestions of how to apply these practically for daily use. On March 16, Senator John Hoeven (R-ND), Senator Joe Manchin (D-WV), Representative Tulsi Gabbard (D-HI, 2nd) and Representative Jackie Walorski (R-IN, 2nd) introduced bipartisan legislation, the Veterans Access to Extended Care Act (S. 739/H.R. 1369), to expand veterans’ access to health care services. As you may know, it is long-standing policy that Medicare (Parts A and B) or Medicaid providers are not considered to be federal contractors. If a provider currently has VA patients, they are considered to be a federal contractor and under the Service Contract Act. Federal contracts come with extensive reporting requirements to the Department of Labor on the demographics of contractor employees and applicants, which have deterred providers, particularly smaller ones, from VA participation. The Veterans Access to Extended Care Act would ensure that providers could enter into VA Provider Agreements, without having to follow these complex federal contracting and reporting rules. Here are a few important updates relating to the legislation you might be interested in knowing about. 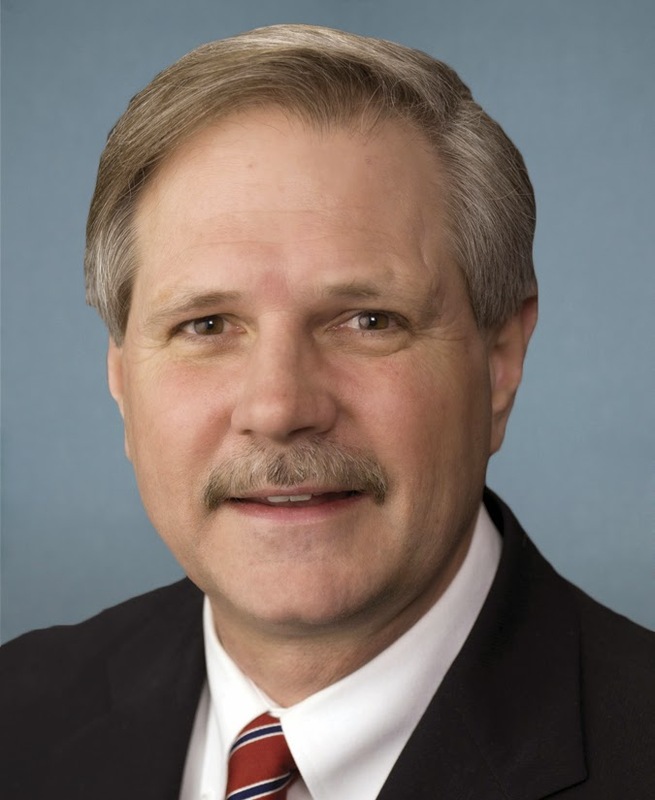 Thursday, one of our lead and key champions on this issue in the Senate, Senator John Hoeven (R-ND), (pictured) will be hosting a roundtable discussion with AHCA’s North Dakota State Executive, Shelly Peterson, and AHCA members on the legislation. On April 23, 2015, the House Committee on Veterans’ Affairs -- Subcommittee on Health -- will be holding a legislative hearing to review a few veterans related bills, including the Veterans Access to Extended Care Act. More details about this legislative hearing can be found here, and it will be held in 334 Cannon House Office Building at 10am ET. Finally, during two separate U.S. Senate hearings this past month with VA officials, the importance of VA provider agreements were raised in each. If you have any questions on this legislation, please don’t hesitate to contact AHCA’s Senior Director of Not for Profit & Constituent Services, Dana Halvorson. Provider is looking for the rising stars of our profession. 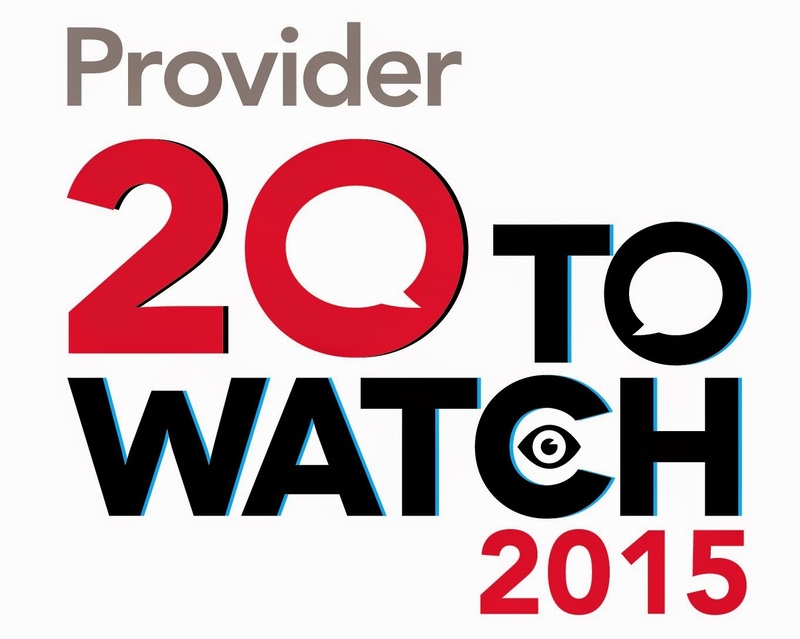 The magazine is hunting for names for its Third Annual, “20 to Watch” issue. Each year, readers nominate the profession’s future leaders—those who raise the standard of care and excellence, make their homes and center better places to live and to work, and embody the profession’s commitment to excellence and quality of life. Past notables include Joyce Simard, founder of Namaste Care, Kavan Peterson of ChangingAging.org, Tendercare physical therapist Christine Reynolds, Valley Nursing and Rehabilitation Center’s music therapist, Whitney Ostercamp, and many, many others. If you know somebody who deserves the spotlight for all of their hard work and commitment, let Provider readers know. For more information, email Provider’s own Bill Myers, wmyers@providermagazine.com, or click here. Hurry, though the deadline for nominations is Friday, April 17. Facility operators are entering a period of operational uncertainty and risk related to Medicare Part B services due to the U.S. Senate's not voting on a new Sustainable Growth Rate (SGR) bill - also known as the Doc Fix - prior to the March 31 expiration of the current SGR and therapy cap exceptions process. While we are cautiously optimistic the bill will be enacted when the Senate returns from recess in mid-April, there are no guarantees. Also, the delay has created some operational challenges providers need to consider. There are two major issues that we want to alert you to and provide preliminary recommendations, as there is no current guidance from the Centers for Medicare and Medicaid Services (CMS). First risk - Under current law, a -21.2 percent adjustment would apply to the Part B fee schedule effective April 1. However, if the Senate passes the SGR bill, this cut will not apply. To mitigate this risk, AHCA recommends that SNF operators hold any Part B claims with dates of services on or after April 1 until it is clearer what will happen in the Senate. Second risk – Under current law, the therapy caps exceptions process expires on March 31 and there will be a hard $1,940 therapy cap with no exceptions. Beginning April 1, there will be payment liability risks for services furnished above the cap threshold. However, if the SGR bill is enacted when the Senate returns from recess, this will not apply. To mitigate this risk, AHCA recommends that SNF operators issue Advance Beneficiary Notices (ABNs) to beneficiaries needing Part B therapy services beyond the $1,940 threshold as of April 1, 2015. AHCA has prepared a detailed FAQ document based upon current available information that has been reviewed and commented on by the AHCA Finance Committee's Billing and Operations Subcommittee and the Therapy Policy Advisory Group. We encourage SNF operators to review and consider these recommendations within the context of their current operational policies. For additional questions please contact Dan Ciolek, AHCA Senior Director, Therapy Advocacy at dciolek@ahca.org. The US Department of Health and Human Services (HHS), Office of Inspector General (OIG), has released its 2015 Compendium, outlining the OIG’s FY 2014 recommendations that HHS programs has failed to implement. All of the recommendations arise from previous OIG audits and evaluation programs. The OIG is mandated by law to report to Congress all findings and recommendations, which it routinely publishes in its Semiannual Reports. The Compendium highlights the recommendations from those reports, as well as responds to requirements under the Consolidation Appropriations Act of 2014 that directs the OIG to report on the top 25 unimplemented recommendations that in the opinion of the OIG would best protect the integrity of HHS programs, if implemented. To obtain a copy of the OIG Compendium go to http://oig.hhs.gov/reports-and-publications/compendium/files/compendium2015.pdf. On March 24, 2015, the US Department of Health and Human Services (HHS) Secretary, Sylvia M. Burwell, joined President Obama, as well as other state representatives, insurers, providers, business leaders, and consumers at the White House to kick off the Health Care Payment Learning and Action Network (“Network”). The Affordable Care Act established a new framework to move our health care system away from rewarding health providers for the quantity of care they provide and toward rewarding quality. To change these practices and improve the quality of care patients receive, the Affordable Care Act created a number of new payment models that pay health care providers for the quality of the care they give patients, instead of the quantity of care. In these alternative payment models, providers have a financial incentive to coordinate care for their patients and get the right care to the right patient the first time. These new models have contributed to 50,000 fewer patient deaths in hospitals due to avoidable harms, such as infections or medication errors, and 150,000 fewer preventable hospital readmissions since 2010, when the Affordable Care Act became law. More than 2,800 payers, providers, employers, patients, states, consumer groups, consumers and other partners have registered to participate in the Network. To obtain a copy of the HHS press release go to http://www.hhs.gov/news/press/2015pres/03/20150325b.html. To obtain a fact sheet on the Network go to http://www.cms.gov/Newsroom/MediaReleaseDatabase/Fact-sheets/2015-Fact-sheets-items/2015-03-25.html. To view a list of all organizations that have set goals toward payment reform, visit: http://innovation.cms.gov/initiatives/Health-Care-Payment-Learning-and-Action-Network/Partners. During the week of July 20–24, 2015, providers will have the opportunity to participate in ICD-10 end-to-end testing with Medicare Administrative Contractors (MACs) and the Common Electronic Data Interchange (CEDI) contractor. Approximately 850 volunteer submitters will be selected to participate in the July end-to-end testing. This nationwide sample will yield meaningful results, according to the Centers for Medicare & Medicaid Services (CMS), since it intends to select volunteers representing a broad cross-section of provider, claim, and submitter types, including claims clearinghouses that submit claims for large numbers of providers. To volunteer, complete the relevant form available at the MAC website April 17, 2015. CMS and CEDI will review the applicants and make selections by May 8, 2015. If selected to participate, providers must be able to submit future-dated claims and provide valid National Provider Identifiers (NPIs), Provider Transaction Numbers and beneficiary Health Insurance Claim Numbers (HICNs) that will be used for test claims. Any issues identified during this testing will be addressed prior to ICD-10 implementation. Educational materials also will be developed for providers and submitters based on these testing results. To obtain more information go to the following MLN Matters links at MLN Matters® Article #MM8867, MLN Matters Special Edition Article #SE1435 or MLN Matters Special Edition Article #SE1409. 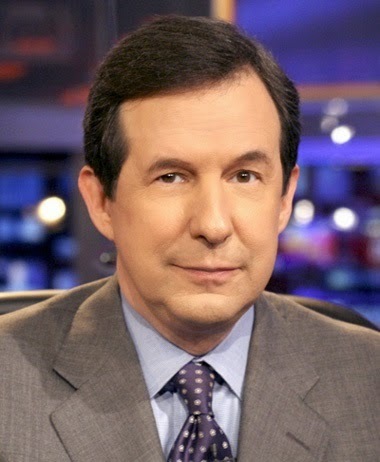 AHCA/NCAL is excited to announce that Emmy-award winning journalist Chris Wallace is the Keynote Speaker at this year's Congressional Briefing. The anchor of Fox News Sunday (FNS), he also contributes to Fox News Channel's America's Election HQ coverage and is based in Washington, D.C. Over his career, he has won every major broadcast news award for his reporting. Don't miss this opportunity to meet with your Members of Congress, hear the latest about all that is happening on the Hill, and network with your peers. You can also earn 6.5 CEUs. More speakers will be announced shortly. We are always thrilled with the turnout we get at Congressional Briefing. In the past, Rep. Nancy Pelosi (D-CA), Rep. Paul Ryan (R-WI), Rep. Kevin McCarthy (R-CA), Senator Ben Cardin (D-MD), Senator Ron Wyden (D-OR), Senator Shelley Moore Capito (R-WV) have all attended, just to name a few. See the complete agenda and check back often to see what additional guest speakers have been added to the schedule. Congressional Briefing is a unique chance to talk face-to-face with your Members of Congress about the issues that matter to you. Learn more about scheduling a meeting and register today! The conference registration fee is complimentary to AHCA/NCAL Members and Associate Business Members only. All registrations include continental breakfast, networking lunch, and cocktail reception. The registration deadline is May 19, 2015. Washington, D.C. is a very popular destination in the spring, so plan ahead and reserve your hotel room early. Please note that you must register for Congressional Briefing before making your hotel reservation. For additional briefing information, contact Matt Smyth, Senior Director of Grassroots and Member Advocacy: 202-898-2817, msmyth@ahca.org​. LED Talks at the AHCA/NCAL Quality Symposium a Big Hit! In addition to the educational programming traditionally offered, this year’s Quality Symposium, held February 23-25 in Austin, TX, included a new feature – our series of Lead. Engage. Discover. (LED) Talks. 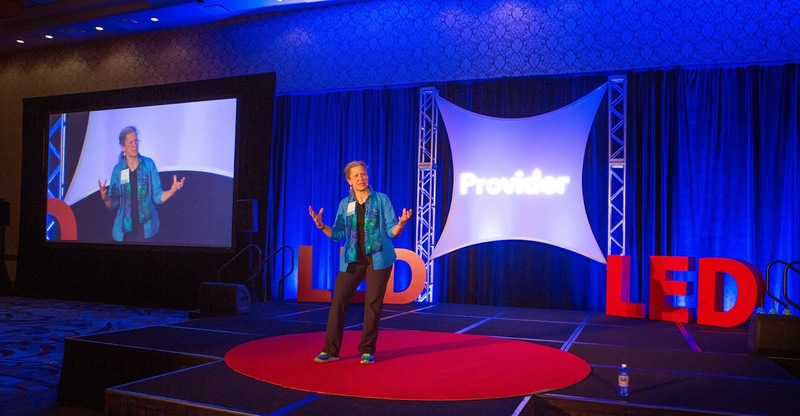 Curated by Provider Magazine, this popular event included nine, 18-minute talks on new ideas and topics designed to be “provocative, inspirational, and sometimes disruptive.” Described by some attendees surveyed as, “an extremely enlightening time,” and “awesome and inspiring,” the talks were very well received. Are you sad to have missed them? Did you hear one or more that you wished you could share with others on your team? We have good news! These talks will be available online in April so stay tuned! In the meantime, we encourage you to let us know your thoughts and feedback on topics and people you’d like to hear from in the future. The 2015-2016 election cycle has officially opens April 4th for AHCA members in good standing interested in running for the AHCA Board of Governors. The AHCA elections are for three officer positions (Chair, Vice Chair, Secretary/Treasurer), one Independent Owner Representative, one Regional Multifacility Representative and two At-large Representatives. AHCA members interested in running for an AHCA Board position may obtain the necessary candidacy materials online at http://www.ahcancal.org/about_ahca/Pages/elections.aspx. Applicants must complete and electronically submit the AHCA candidacy materials by close of business on June 4, 2015. Candidates will submit completed materials by sending an e-mail to Christy Sharp at csharp@ahca.org. The AHCA elections will take place during the second Council of States meeting at the AHCA/NCAL 66th Annual Convention & Expo, October 4 - 7 in San Antonio, TX. Once the application phase has ended, the AHCA/NCAL Credentialing Committee will hold an in-person meeting to conduct a certification process for each candidate. Once certification occurs, AHCA will announce the slate of candidates to the membership. Members can now access two clinical resource guides available on AHCA’s website—Elements for Effective Care Transitions, Ideas and Resources for Post-Acute Care Providers and Considerations for End of Life Care Competency. The Vacancy, Retention, and Turnover Survey (VRT) is a nationwide study to collect retention, vacancy and turnover information among assisted living employees. This survey is supported by LeadingAge, the American Seniors Housing Association (ASHA), and the Assisted Living Federation of America (ALFA). This is the fifth annual VRT survey, NCAL has conducted. Overall staff turnover was 24.2 percent and nursing turnover, which included direct care staff, was 25.0 percent. The full report is available on the NCALwebsite. AHCA and NCAL members will be able to upload their turnover and retention information into LTC Trend Tracker starting in April. Members will submit this data annually and the results will be available immediately for tracking purposes. The collected data allows users to track their turnover and retention rates for Direct Care Staff positions, Administrator/Executive Director and Director of Nursing/Resident Care Coordinator and to benchmark their rates against those of their peers. This collection will replace the survey that was sent to centers and communities in previous years. Training manuals will be available next month on the LTC Trend Tracker resource page. Try it. You’ll have fun. 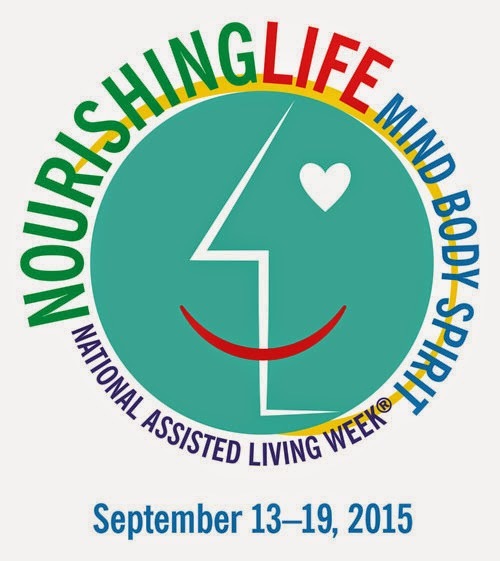 Visit the National Nursing Home Week (NNHW) website. It is now open for business and ready to encourage you to participate in the “Bring on the Fiesta” theme for May 10 to 16, 2015. The site offers information in many topic areas, such as: Party Tips, Activities, Music to Celebrate a Fiesta, Crafts, Food, and Social Media. Order special NNHW week products here. National Nursing Home Week is an opportunity for facilities to entice in new guests, infrequent visitors, and local VIPs to realize and appreciate the importance of a kind word, a personal touch, and connecting with residents. Make NNHW week a special time of entertainment and education and visit www.nnhw.org. Also “Like” NNHW week on Facebook at facebook.com/NursingHomeWeek. So get on board and let’s have some old fashioned FUN at the FIESTA! New NCAL Member Resource Available for Emergency Preparedness! This week, Senators Sherrod Brown (D-OH), Susan Collins (R-ME), Bill Nelson (D-FL), Shelley Moore Capito (R-WV) and Congressman Joe Courtney (D-CT-2) reintroduced the Improving Access to Medicare Coverage Act of 2015 (S. 843/H.R. 1571). This important legislation ensures that time spent under “observation status” in a hospital counts toward satisfying the three-day inpatient hospital requirement for coverage of skilled nursing care services under Medicare. Often, patients remain under ‘‘observation status’’ in the hospital for several days. These days are not counted toward the three-day inpatient stay requirement because they are considered outpatient. Increasingly, patients have no idea what their status is in a hospital, or the importance of it, which can lead to thousands of dollars in out-of-pocket medical expenses should they need skilled nursing center care following their hospital stay. In addition to placing a financial burden on seniors and their families, this anomaly in Medicare rules can cause unnecessary spend-down, accelerating the time frame in which seniors will have to turn to programs such as Medicaid to pay for their care. For more information about observation stays and the three-day stay requirement, visit the AHCA/NCAL website. Yesterday, Intellectual and Developmental Disabilities (ID/DD) Residential Services Providers were in Washington DC for AHCA’s annual Hill Fly-In event. Participants heard from a number of Congressional speakers, including current and former Hill staffers and members of Congress. The morning started off with a Hill update from Congresswoman Bonnie Watson Coleman (D-NJ12 pictured at left), and was followed by a Congressional Hill panel. Attendees also had the opportunity to hear from Senator Blanche Lincoln (pictured below), who is the Founder and Principal of the Lincoln Policy Group. During her 16-year career in the U.S. Congress — first as a two-term member of the House of Representatives and then as a two-term member of the U.S. Senate — Lincoln built a reputation as a results-oriented, bipartisan legislator. 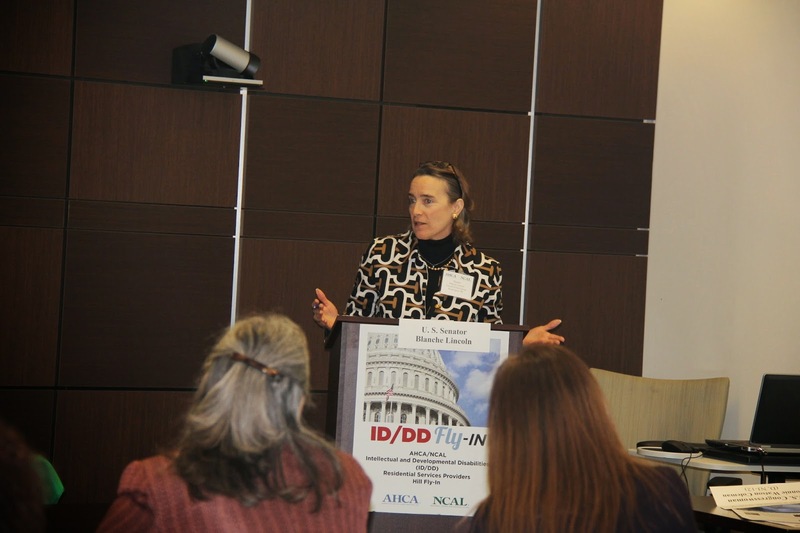 After the morning event was over, the ID/DD providers went to Capitol Hill to discuss critical issues, including Medicaid, Medicaid Provider Assessments and Medicaid Managed Care. 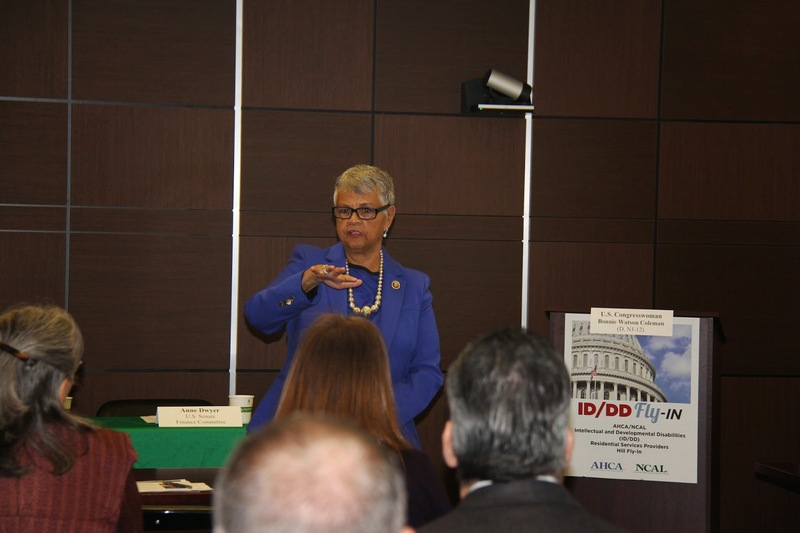 The 2015 ID/DD Hill Fly-In issue briefs can be found here. If you have any questions relating to this event, please don’t hesitate to contact AHCA’s Senior Director of Not for Profit & Constituent Services, Dana Halvorson. AHCA members now have access to the latest information about the ongoing AHCA Payment Reform Initiative (PRI). Log onto the AHCA website* to view the new PRI webpages, which include an overview of the initiative, details on the Medicare Post-Acute Care SNF Payment concept, background on value-based components and therapy regulatory relief, and additional resources. *Members must be logged onto the AHCA website in order to view the PRI webpages. The $210 billion dollar package based on last year’s bicameral effort to repeal SGR is expected to come up for a vote in the full House on Thursday. Both Speaker of the House John Boehner and Democratic Leader Nancy Pelosi released a statement applauding the effort, suggesting the bill will receive broad bipartisan support in the House. The House will not be voting on an alternative short-term patch similar to those in the past. The timeline for Senate passage is more tenuous. The Senate will vote on a Budget late Thursday night and potentially into early Friday morning, putting a potential SGR vote on the heels of a grueling “vote-o-rama,” as it is known. Because the Senate will take a two week holiday recess beginning Friday, this leaves a very short window of time for passage of a deal before the March 31st deadline. If the Senate cannot pass the House package, they will have to either pass a short-term fix to be approved by the House or let the SGR expire, forcing CMS to hold claims until legislation is passed. The American Health Care Association (AHCA) developed LTC Trend Tracker as a central place to access key data, including all the information CMS collects on skilled nursing centers. In addition, members can find exclusive, in-house measures to help gain insight on hospital readmissions and discharges to the community. To ensure members get the most from this web-based resource, AHCA continues to make updates and improve LTC Trend Tracker. The Five Star reports have been updated in LTC Trend Tracker to reflect the recent CMS changes. These reports include the Five Star Overall, as well as the predictor reports – Five Star Quality Measure (QM) Report and Five Star Staffing Report. The Rating Predictor features allow users to see how potential changes can impact a center’s Five Star QM Rating and Staffing Rating. AHCA has developed several resources to assist you in using this report, including a help document and webinar. AHCA members can now utilize the new Length of Stay (LOS) metric offered in LTC Trend Tracker. The new feature calculates the median LOS for all new admissions from a hospital, as well as the percentage of new admissions who have stays of seven, 14, 20 and 45 days or fewer. Check out the LOS help document to learn how to use this report and for more information. Login today at www.LTCTrendTracker.com to learn more. Please contact the LTC Trend Tracker team at help@ltctrendtracker.com with any questions or for additional assistance. Five-Star Changes – Tell Me More! In February 2015, CMS instituted three significant changes to the Five-Star Quality Rating System. These changes resulted in most nursing centers examining their 5-Star ratings more carefully as well as asking questions about how Five-Star is calculated. Here are five questions and answers about Five-Star to help you understand your ratings. Q1. My annual survey was great – only two deficiencies at an “E” level scope and severity. But my Health Inspection domain is still only 2 stars. Why? A1. The Health Inspection domain considers the last three annual standard surveys as well as any complaint surveys for the most recent 36 months prior to the Five-Star website update. Although the previous surveys (both complaint and standard) are weighted at a lower rate, they are still included in the calculation. Noncompliance points are also added if more than one revisit is required to find a center in substantial compliance – and those points are a percentage of the overall health inspection score. So remember, a poor survey score stays with you for three years and needing multiple revisits to clear tags also works against you! For more detailed information about the Health Inspection domain calculation, see the Technical Users’ Guide. Q2. My center has a number of residents with a diagnosis of Schizophrenia. What will this do to my Quality Domain now that CMS is considering quality measures associated with use of antipsychotics? A2. In calculating use of antipsychotics, CMS excludes use of these medications for individuals diagnosed with Schizophrenia, Huntington’s disease, or Tourette’s syndrome. Q3. After our annual survey, I realized there was an error on our CMS Form 671. My staffing star is going to be terrible because we forgot to include some staff. How can I get this corrected? A3. Unfortunately, CMS does not allow corrections to the information you submitted. It is essential that the administrator of a center review this form for accuracy before it is given to surveyors. Errors will remain in your staffing star until your next survey. Some centers have the person who will be completing the form practice regularly to help prevent errors and oversights. Q4. Why does my center’s Five-Star information say “Data Not Available” for the Staffing Star? I had my annual survey and submitted the CMS Form 671. What’s up? 1). Much of the data used to calculate Five-Star is input by each State Survey Agency. If for some reason there is a delay or an error when they input the data, it can result in such a notation. 2). According to the Technical Users’ Guide, “A set of exclusion criteria are used to identify facilities with unreliable CASPER staffing data and neither staffing data nor a staffing rating are reported for these facilities on the Nursing Home Compare website.” Put simply, if the CMS Form 671 shows dramatic differences from previous submitted forms; the exclusionary provision may kick in. Q5. When RN’s from our corporate office are in my building during the annual survey, may I count them on the CMS Form 671? A5. These individuals can be counted ONLY if they are actually providing care for patients or if they are acting as the Director of Nursing or working in a nurse administrative role (probably replacing an individual who is not working that day/week). If the corporate RN is providing guidance or consultation to the center, they may not be counted. 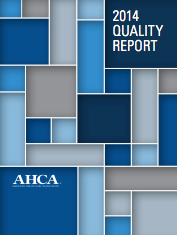 Rehospitalization continues to be a crucial part of overall quality improvement, and the American Health Care Association, working with PointRight, has the only NQF-endorsed risk- adjusted rehospitalization measure that enables skilled nursing centers to measures rehospitalization rates for all admissions regardless of payer status. The measure, which is being increasingly used by ACOs and MCOs as a source of information for the profession, presents an opportunity for AHCA members to benefit from both a competitive advantage and quality improvement standpoint. Plans for an estimated $200 billion deal to permanently replace the sustainable growth rate (SGR) emerged early this week after talks between the offices of Republican Speaker John Boehner and Democratic Leader Nancy Pelosi. House Republicans expect a final deal on the floor within a week but final details are still being worked out. Energy and Commerce Chair Fred Upton (R-MI), and Health Subcommittee Chair Joe Pitts (R-PA) expect to address the permanent doc-fix deal after the House passes a budget this week. Congress will have to pass legislation addressing the SGR by March 31 to avoid a 24% cut in physicians’ Medicare reimbursements. Though details of the package are still not final, Pitts said that about $70 billion is paid for in the legislation itself, adding that the extra $130 billion would be addressed through spending cuts in the budget resolution. "For years, the SGR has distorted Medicare's finances and the federal budget. We're now very close to permanently replacing it and passing some real Medicare reforms that will have a lasting impact,” Pitts said in a statement. Also included in the deal is a two-year extension of funding for the Children’s Health Insurance Program (CHIP) and two years of various Medicaid extenders. AHCA is supportive of a permanent fix, but only one that does not use skilled nursing and assisted living as an offset. We are actively working with Congressional offices on the final language of the deal ensure that skilled nursing is adequately and fairly represented in any permanent SGR fix. In a relatively unified decision, the US Supreme court has held that a federal agency does not need to engage in notice-and-comment rulemaking pursuant to the Administrative Procedures Act (APA) before it can significantly alter an interpretive rule of an agency regulation, even if parties have relied on that rule to their detriment. AHCA/NCAL joined the US Chamber of Commerce (and other interested stakeholders) in submitting an amicus brief to the US Supreme Court to affirm the judgment of the lower DC Circuit Court holding that a federal agency must engage in notice-and-comment rulemaking before it can significantly alter an interpretive rule that articulates an interpretation of an agency regulation. Unfortunately, the Justices were not persuaded. See the decision in Perez v Mortgage Bankers Association at http://www.supremecourt.gov/opinions/14pdf/13-1041_0861.pdf. The US Court of Appeals for the Ninth Circuit has held, for the first time, that a nursing facility (NF) is entitled to an administrative review of all cited deficiencies relied upon by CMS for the imposition of penalties. See the decision in Plott Nursing Home v Burwell at http://caselaw.findlaw.com/us-9th-circuit/1693524.html. The Supreme Court of Texas has issued an opinion agreeing with the legal position taken by AHCA/THCA in an amicus brief and holding that the Federal Arbitration Act (FAA) preempts the arbitration enforcement provisions in the Texas Medical Liability Act (TMLA), which requires arbitration agreements to contain certain language in boldface type because the McCarran-Ferguson exception applies only to regulations on insurance business and not to restrictions on arbitration claims by patients and providers. This is a significant win for our members who understand that the use of arbitration agreements would enable caregivers to spend more on quality of care for patients than spend precious resources on litigation costs. See the decision in The Fredericksburg Care Company v Perez at http://www.txcourts.gov/media/885314/130573.pdf. The National Nursing Home Social Work Network offers this 45 minute webinar on Tuesday, April 7, 2015 3:00 PM Eastern time. 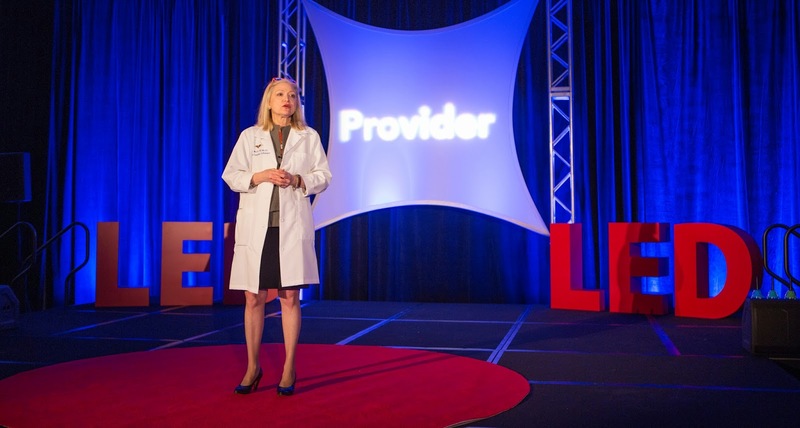 POLST stands for "Physician Orders for Life Sustaining Treatment." The POLST paradigm is a system for increasing the chances that people who are in frail health get the type of medical care they prefer. It includes a medical order that communicates the patient preferences regarding attempting CPR and artificial nutrition through tubes. The presentation will describe the POLST paradigm and its rationale, discuss the extent to which it is being followed in states. The three presenters are working together on a Hartford Change AGEnts Action Award, and will share insights from using POLST in two nursing homes. Speakers: Jane Dohrmann, MSW, Program Director, Honoring Your Wishes (http://iowacityhospice.org/honoring-your-wishes/), Nicole Peterson, advance practice nurse at the University of Iowa College of Nursing, and Mercedes Bern-Klug, University of Iowa School of Social Work. The Office of Medicare Hearings and Appeals (OMHA) has announced the implementation of the Administrative Law Judge (ALJ) Appeal Status Information System (AAIS) Website. This website provides public access to appeal status information and is accessed through the OMHA website at http://www.hhs.gov/omha by selecting the “Appeal Status Lookup” link located on the left navigation bar. Information on data availability, updates and status definitions also are provided to assist with searches. OMHA also has recently established a listserve to provide updates to appellants regarding appeals process, special initiatives, pilot processes, OMHA website updates and other information pertinent to appeals. Subscribe or unsubscribe at https://list.nih.gov/cgi-bin/wa.exe?SUBED1=OMHAAPPELLANTS&A=1. The Office of Inspector General (OIG) has released a report that indicates that swing-bed services provided at most critical access hospitals (CAHs) could have been provided at alternative facilities within 35 miles of the CAHs during FY 2010. The US Court of Appeals for the Federal Circuit has held that the Centers for Medicare & Medicaid Services’ (CMS) proposed contract provision prohibiting RACs from charging CMS a contingency fee for the claims they deny until the provider’s appeal of the denial has been decided at the 2nd level of the administrative appeals process, violates contracting requirements under the Federal Acquisition Regulations (FAR). The Appeals Court sent the case back to the lower Court of Federal Claims, and CMS may be required to rebid the new RAC contracts without that specific provision. CMS started to award new RAC contracts in 2014. Since the RAC program first started in 2008, CMS has paid RAC contingency fees for claims denied on review about 41 days after CMS sends a demand letter to the provider. The new proposed contracts had a provision that proposed that RACs would be paid after a provider’s challenge passed the 2nd level of appeal in the 5-level Medicare appeals process. According to the RACs, paying the fee after the 2nd level of appeal would cause a significant financial hardship to the RAC and increase RAC payments from approximately 41 days to 120-420 days. One of the RACs (CGI) filed a protest against the new payment terms. Now, because the Appeals Court has agreed with CGI’s protest, the future of Medicare’s RAC program continues to be caught up in uncertainty. However, because the current RAC contracts were extended through the end of 2015, the recently resumed Part B therapy manual medical review (MMR) program continues, unless modified by Congressional action. To see a copy of the Appeals Court decision go to http://www.cafc.uscourts.gov/images/stories/opinions-orders/14-5143.Opinion.3-6-2015.1.PDF. The General Accounting Office (GAO) has recently released a report, Medicaid Information Technology: CMS Supports Use of Program Integrity Systems but Should Require States to Determine Effectiveness. It evaluates 10 states use of varying types of information technology (IT) systems to support efforts to prevent and detect improper Medicaid payments. According to the report, all 10 states had implemented a Medicaid Management Information System (MMIS) to process claims and support their program integrity efforts, and 7 had implemented additional types of systems to meet specific needs. Three states were operating MMISs that were implemented more than 20 years ago, but 7 states had upgraded their MMISs, and 2 of those had done so in the past 2 years. In addition, 7 states had implemented other systems, such as data analytics and decision support systems that enabled complex reviews of multiple claims and identification of providers' billing patterns that could be fraudulent. While the MMISs and other systems implemented by the 10 states were designed primarily for administering Medicaid as a fee-for-service program, in which providers file claims for reimbursement for each service delivered to patients, officials with 7 of the 10 states also administered managed care plans–plans for which provider organizations are reimbursed based on a fixed amount each month–and 1 state administered Medicaid exclusively as managed care. Officials with the 9 states who administered fee-for-service plans said they used their systems to help conduct pre- and post-payment reviews of claims. All 10 states received technical and financial support from the Centers for Medicare & Medicaid Services (CMS) for implementing the systems. However, the effectiveness of the states' use of the systems for program integrity purposes is not known. CMS does not require states to measure or report quantifiable benefits achieved as a result of using the systems. Only 3 of the 10 selected states measured benefits. GAO recommends that CMS require states to measure and report quantifiable benefits of program integrity systems when requesting federal funds, and to reflect their approach for doing so. To obtain a copy of the complete report go to http://www.gao.gov/products/GAO-15-207. The fourth annual NCAL Spring Conference brought close to 150 assisted living providers from across the country to Ft. Lauderdale. NCAL officers expanded upon the theme of the conference, “Thrive in a New Health Care Environment” by discussing current and forthcoming issues during a panel discussion at the opening general session. Meanwhile, keynote speakers Mike Schlappi and Jeff Havens motivated providers to face their fears and strengthen their leadership skills. Education sessions offered ways for assisted living providers to improve quality, covering topics such as dementia care, staff stability, satisfaction surveys, rehospitalizations, and quality improvement plans. Other sessions focused on emergency preparedness, litigation, opening new communities, care transitions, active aging, virtual senior care, and ethical decision making. NCAL’s next in-person educational offering will be held Sun. Oct. 4 at the ninth annual NCAL Day, once again kicking off the AHCA/NCAL Annual Convention & Expo to be held in San Antonio, Tex. Registration will open in April. Recently, the Centers for Medicare and Medicaid Services (CMS) issued MLN Article MM9104 – Quarterly Update to the Medicare Physician Fee Schedule Database (MPFSDB) - April Calendar Year (CY) 2015 Update. This reminds providers and contractors that unless Congress acts to correct the flawed sustainable growth rate (SGR) formula before March 31st, CMS will cut Part B payments to providers, including those for therapy services by 21.6 percent from current rates. In most prior years, Congress has taken action to avert large across-the-board reductions in Provider Fee Schedule rates before they went into effect. In this article, CMS again states that the agency supports legislation to permanently change the SGR to provide more stability for Medicare beneficiaries and providers while promoting efficient, high quality care. NCAL announced a new accolade by the association, the Jan Thayer Pioneer Award. The award is posthumously named after the first Board Chair of NCAL and assisted living owner and operator Jan Thayer. 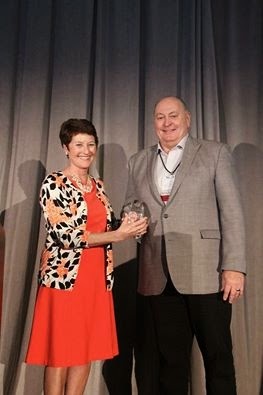 At the fourth annual Spring Conference, Howard Groff, President of Tealwood Senior Living, was named the first recipient of the award. With over 30 years of experience in health care, Groff was recognized for championing high-quality, long term care through continuous improvement efforts. Groff formed Tealwood Care Centers, now known as Tealwood Senior Living, in 1989. As president, Howard has overall responsibility for Tealwood’s financial and operational objectives, as well as developing growth strategy and establishing company policy. Under Groff’s leadership, Tealwood has helped pilot many projects, including partnering with Bluestone Physician Services, a primary care practice delivering on-site care to patients living in assisted living and to people with disabilities in both residential and community settings. A former Chair of NCAL, Groff remains active within the association and its parent organization, the American Health Care Association (AHCA). He currently serves as the Vice-Chair of the AHCA/NCAL Quality Cabinet, which helps to oversee the organization’s national Quality Initiative. The 2014 Quality Report Now Available! During February the “Medicare Access to Rehabilitation Act” was reintroduced to the new Congress. This legislation would, if passed, repeal the Part B therapy caps that were enacted in the Balanced Budget Act of 1997. The bill was introduced in the House (H.R. 775). on February 5 by Congresspersons Boustany, Blackburrn, Becerra, and Capps. The Senate version (S. 539) was introduced by Senators Cardin and Collins on February 24. Senator Cardin’s statement on the floor of the Senate as he introduced S. 539 can be found here (on right column). AHCA and NCAL have been actively engaged with the Therapy Cap Coalition, which is a group of provider, professional, and consumer advocacy organizations that are aligned in our efforts to repeal the therapy caps as part of the sustainable growth rate (SGR) reform discussions. As such, AHCA and NCAL are listed among the organizations that submitted a letter of support to the House sponsors and the Senate sponsors. In the last Congress these bills obtained co-sponsorships from over one half of all members of the House of Representatives, and over one third of the Senate. AHCA and NCAL urge our members to ask their legislators to support these bills to repeal the therapy caps. If you have any questions, please Contact Dan Ciolek, AHCA Senior Director, Therapy Advocacy at dciolek@ahca.org. The US Department of Health and Human Services, Office of Inspector General (OIG) has released statistical information relating to each state Medicaid Fraud Control Unit (MFCU), as self-reported to the agency. The information includes the number of investigations, indictments and convictions, as well as recoveries and expenditures. State MFCUs investigate and prosecute alleged instances of Medicaid fraud as well as patient abuse and neglect in health care facilities. Currently, MFCUs operate in 49 States and in the District of Columbia. Forty-four of the MFCUs are located as part of Offices of State Attorneys General. The remaining 6 are in other State agencies. OIG certifies, and annually recertifies, each MFCU. OIG collects information about MFCU operations and assesses whether they comply with statutes, regulations, and OIG policy. OIG also analyzes MFCU performance based on performance standards and recommends program improvements where appropriate. To obtain MFCU data current through January 2015, go to OIG’s website at http://go.usa.gov/3cHe9 and http://go.usa.gov/3cHeT. The US Department of Health and Human Services, Centers for Medicare & Medicaid Services (CMS) has recently added a new question to its MLN Matters, Medicare Fee-For Service (FFS) Claims Processing Guidance for Implementing International Classification of Diseases, 10th Edition (ICD-10) (MM7492). To obtain a copy of the revised MLN Matter document go to http://www.cms.gov/Outreach-and-Education/Medicare-Learning-Network-MLN/MLNMattersArticles/Downloads/SE1408.pdf. The US Department of Health and Human Services, Office of Inspector General (OIG) has released a report, Health Reform Oversight Plan FY 2015, which describes the OIG’s current and planned efforts to oversee the implementation and management of HHS programs under the Affordable Care Act (ACA). In planning and executing its health reform portfolio, OIG is guided by four key strategic goals including: fighting fraud, waste and abuse; promoting value, safety and quality; securing the future and advancing excellence and innovation. Health Insurance Marketplace; Eligibility – are the Right People Getting the Right Benefits? Management and Administration – Is the Department Managing and Administering Marketplace Programs Effectively and Efficiently? To obtain a copy of the OIG report goes to http://oig.hhs.gov/reports-and-publications/archives/workplan/2015/health-reform-plan-2015.pdf. On March 4, 2015, the US Supreme Court heard oral arguments in King v Burwell, a legal challenge to the tax credits in the 2010 Affordable Care Act (ACA). The outcome of this litigation will shape the future of the current law. To obtain a copy of the oral argument transcript go to http://www.supremecourt.gov/oral_arguments/argument_transcripts/14-114_lkhn.pdf. The Centers for Medicare and Medicaid Services (CMS) recently updated MLN Matters®Number: MM8581 titled ‘Automation of the Request for Reopening Claims Process’. This article is based on CR 8581 which informs A/MACs about changes that will allow providers and their vendors to electronically request re-openings of claims. In this document, clarifications were made regarding the relationship of re-openings to timely filing and also to certain denied claims lines and to clarify the need for a "Remarks" field code for certain re-openings. In addition, the effective and implementation dates are revised. All other information remains the same. Make sure your billing staffs are aware of these changes. The American Society of Consultant Pharmacists (ASCP) has announced they will host the ASCP Forum: Pharmaceutical Care and Post-Acute Transitions, an inaugural discussion for all stakeholders in long term care to gain insight from the nation’s top thought leaders in the post-acute care, on April 27-28, 2015 at the Baltimore Marriott Waterfront in Baltimore, MD. The Forum will follow the continuum of senior care transitions through the health care system—from acute to the post-care setting—exploring the business and clinical opportunities during each transition. The Forum will bring together high-profile industry experts to provide valuable information on pharmaceutical care options for all patient care transitions. Presenters will discuss how pharmaceutical expertise can positively impact census, readmissions and re-hospitalizations post discharge—the bottom line. The program is designed for all stakeholders involved in care transitions—from consultant pharmacists, to health care executives, to management from both long-term care facilities and pharmacy operations, to home care, hospitals, and accountable care organizations. Register now to attend this high-power meeting and learn how major-league health and business professionals implement strategies to improve care and market their expert services, showcasing their key role in improving post-acute care. This is an opportunity you should not miss. Learn more at ascp.com/forum. AHCA/NCAL wanted to be sure that you are aware of AHCA/NCAL Insurance Solutions, LLC, which is our insurance agency that is dedicated to providing our members with Affordable Care Act (ACA) compliant insurance solutions for both fully insured and self-insured groups of any size. Insurance Solutions is a full service insurance agency exclusive to AHCA/NCAL Members. AHCA/NCAL Insurance Solutions provides members with a full array of competitive insurance products. Contact us today to see what the AHCA/NCAL Insurance Solutions, LLC can do to meet your company’s insurance needs. For more information, contact AHCAinsurancesolutions@ahca.org or call 860-416-5333. The American Association of Nurse Assessment Coordination (AANAC) has released the summary report of its 2015 Nurse Assessment Coordinator Study. With this periodic field study to nurses working in long-term care, AANAC strives to understand the issues affecting their job duties, performance, satisfaction, and challenges. Sixty‐one percent (61%) of NACs report that they are responsible for ICD coding and spend an average of 91 minutes per week on this activity. For more information, please contact Deborah White at dwhite@aanac.org or 1-800-768-1880. Communicators and advocates from across the sector host a webinar every 3rd Thursday of each month at 3PM Eastern Time to coordinate social media strategy and share ideas. From beginners to seasoned social media gurus, we welcome anyone willing to learn more about these important platforms of information sharing. They’re becoming crucial in our campaigns on and off Capitol Hill. 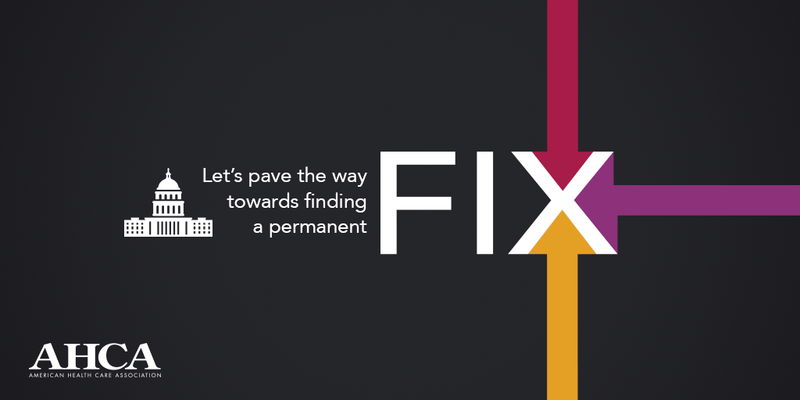 This month, on Thursday, March 19th we’ll be talking about the AHCA/NCAL digital SGR campaign on the "doc fix". Join the discussion with me and the Public Affairs department next week. Bring your ideas and other colleagues, too. Email AHCA’s Manager of Grassroots and Member Advocacy, Michael Cowden, to become involved today! In a report released on Monday, the Government Accountability Office (GAO) found that antipsychotic drugs are frequently prescribed to older adults with dementia. GAO's analysis found that among Medicare Part D enrollees with dementia living outside of a nursing center in 2012, about 14 percent were prescribed an antipsychotic. GAO also found that about one-third of older adults with dementia who spent more than 100 days in a nursing center in 2012 were prescribed an antipsychotic. "Agencies within the Department of Health and Human Services (HHS) have taken several actions to address antipsychotic drug use by older adults in nursing homes, as described in HHS's National Alzheimer's Plan; however, none have been directed to settings outside of nursing homes, such as assisted living facilities or individuals' homes. While the National Alzheimer's Plan has a goal to improve dementia care for all individuals regardless of residence, HHS officials said that efforts to reduce antipsychotic use have not focused on care settings outside nursing homes, though HHS has done work to support family caregivers in general. Stakeholders GAO spoke to indicated that educational efforts similar to those provided for nursing homes should be extended to other settings. Extending educational efforts to caregivers and providers outside of the nursing home could help lower the use of antipsychotics among older adults with dementia living both inside and outside of nursing homes." NCAL is already leading the charge to address this issue outside of nursing centers, as the GAO recommends. The NCAL Quality Initiative has a three-year goal to safely reduce the off-label use of antipsychotic medications by 15% by March 2015. AHCA members have lowered antipsychotic use by an average of 21% since 2011, which means 62,000 people are no longer receiving these medicines. Skilled nursing facilities hope to lower usage by another 15% by end of 2016. The agency formally recommended that the Secretary of HHS should expand its outreach and educational efforts aimed at reducing antipsychotic drug use among older adults with dementia to include those residing outside of nursing homes by updating the National Alzheimer's Plan. AHCA members from 9 states are on Capitol Hill today advocating for therapy policy reforms and emphasizing the detrimental impact further Medicare and Medicaid cuts would have on the long term care profession. Nearly 30 providers and members of state associations will visit over 40 Congressional offices of key committee members and leadership to ask that Congress include regulatory relief from manual medical review of part B therapy claims. The sustainable growth rate (SGR), which sets physician Medicare payment, needs to be “fixed” March 31st and AHCA hopes that Congress will use the must-pass legislation as an opportunity to include commonsense language that allows therapy providers to receive Medicare reimbursement promptly. Additionally, AHCA members are advocating the importance that skilled nursing be isolated from any further cuts to Medicare and Medicaid rates. Legislation patching the SGR routinely is paid for with other cuts to provider rates. Advocates are particularly focused on preserving the provider assessment in states that use this important Medicaid tool, as well as ensuring bad debt Medicare reimbursement is not decreased past current levels. Last year, AHCA worked with Members of Congress to develop a tolerable payment reduction based on hospital readmissions. This value-based purchasing agreement, however, once again lowered rates and another cut would severely damage the quality care that SNFs are able to provide. “Providers are in a unique position to understand the value of family involvement in caregiving and the emotional and financial challenges families continually face,” Mark Parkinson, AHCA President and CEO, said. AHCA members interact with family caregivers who may be using respite care services or who are actively involved with a loved one residing at a care center or in another setting. In ever increasing numbers, families are welcoming home a loved one who has rehabilitated at a post-acute care center after recovering from surgery (such as hip or knee replacement) or other procedure at a hospital. Oftentimes, recovery continues at home where care professionals closely support the family.